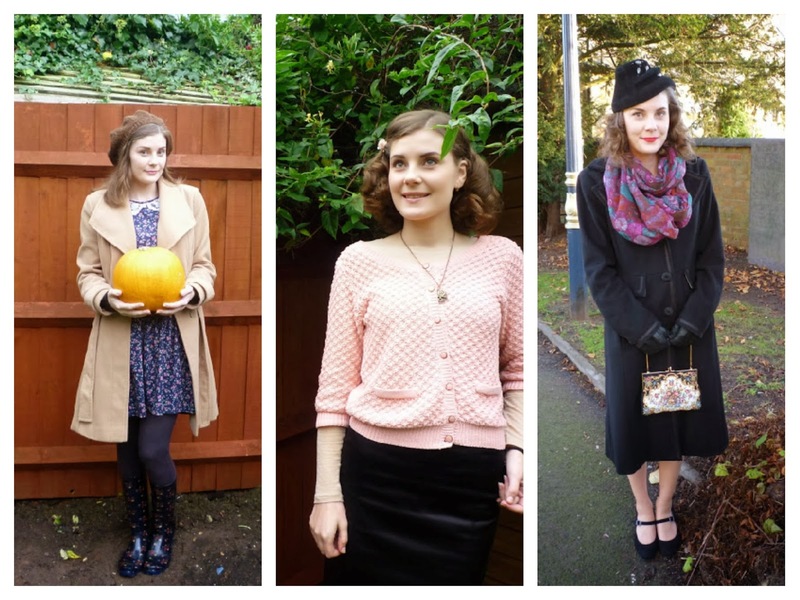 With the end of 2013 I am saying goodbye to my first full year of blogging. I have really enjoyed documenting aspects of my life and interacting with other vintage lovers since I set this blog up - here's to another year and I hope I will have as much fun. January was a pretty empty month for me, blogging wise. There were no new outfit posts from me, but I did get around to posting some photos of me taken at the 1940s reenactment event at Papplewick Pumping Station. I also enjoyed some new books in the form of Vera Lynn's autobiography, and Style Me Vintage. February suffered a similar lack of outfit posts but I spent some time thinking about what my ideal wardrobe would look like. Much to my own amazement, I won a beautiful dress from Lady K Loves in a competition, and accepted a Leibster Blog Award from Bruce. In March I got my blogging act together. I posted a whole four outfit posts as well as photos from reenactment at Chesterfield. I snagged an interview with the lovely Marina Mae and won another competition. The wintry weather really doesn't agree with me though, so frankly I was more than happy to move towards Spring and Summer. I was looking forward to the opportunity to wear some of my favourite summery clothes, and enjoy what I hoped was going to be a warm and rain-free summer. In April I had a fantastic time at Leeds Tropical House. I also got hailed on at Rufford Abbey - thank goodness for generous Vikings (?) allowing me to share their wool cloaks! I came over all Gatsby and enjoyed being 20s inspired at work and rambled about myself a bit more for another Liebster Award. May disappeared under a pile of books as I studied for my finals and panicked about having to appear in court for my last exam of my undergraduate degree. I visited Kedleston Hall and had a huge clear out of my bedroom. June saw me wondering how to style my hair for my cousin's wedding, enacting some of my Trek-based fantasies at Leicester Space Centre and having a grand old time looking after caterpillars and making new friends at the Lepidoptera Breeders Association. 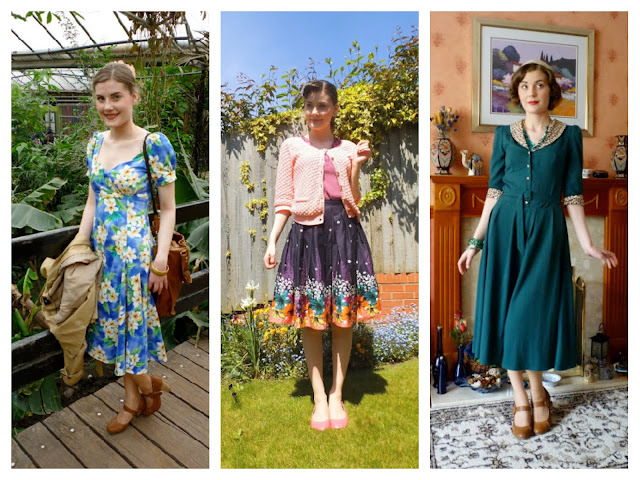 I also managed to fit in two outfit posts in some more lighter weight dresses. In July I was away for some time doing some volunteering, so I was fortunate to be able to share a lovely guest post from Emileigh of Flashback Summer. I shared some of my photos from Oxford in two posts and took advantage of the nice weather to wear two shorter dresses than usual. I also shared some pictures of my Elvis memorabilia and penned a review of some skin care products. 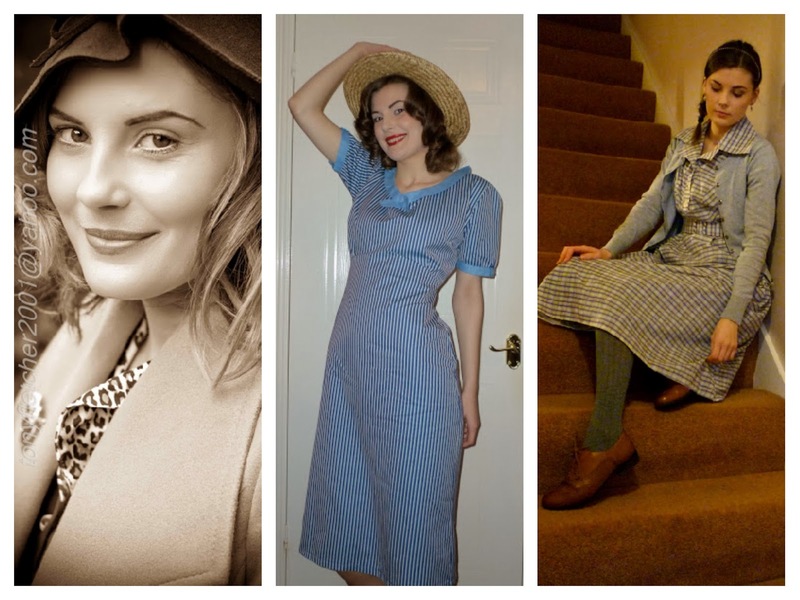 In August I went to re-enactment at Kedleston and Crich, shared a few other outfits and three more posts from Oxford, and completed another skin care review. In September I produced some of my favourite outfit posts of the whole year featuring a plaid dress, an outfit for around town and some lovely autumn scenery. I visited a spa town and went antique shopping with my brother and his flatmates, and made elderberry jelly. 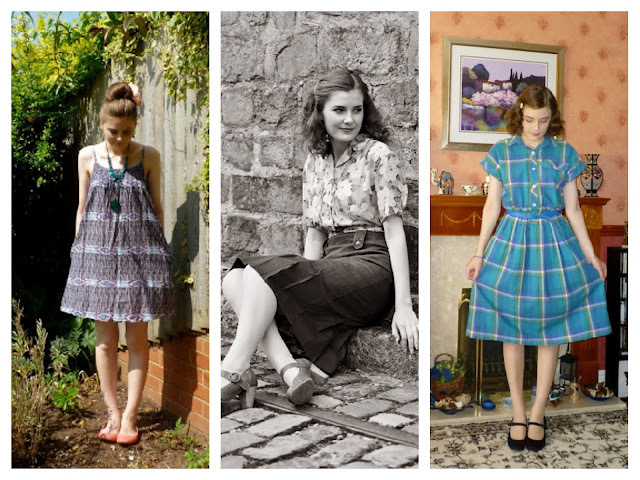 I experimented with a vintage collegiate look, went for dinner at F&B's, explored a local church, went vintage shopping in Nottingham, reviewed a vintage fashion book and signed a petition to save the BBC Big Band. September was one of my busiest months for blogging. October was a month of making, reviews and makeup. Outfits included a sweet ensemble for a charity coffee morning and a matching dress and boots for posing with a pumpkin. I made some more jam and went to a sewing class, as well as playing with some makeup for a review and a tutorial. I kicked off November with my costume from Hallowe'en and shared some photos of an outfit of mine which would be typical for work or situations where an authentic vintage look is not as appropriate. I hosted a plaid-themed link-up with Jamie of Chatterblossom, featured another guest post, shared some photos of a local vintage shop which is moving to a new premises at the end of January and can also be found online and started my project for Knit For Victory. I hope I will be finished with it by the deadline! Finally I began December with a visit to the Melton Mobray Christmas Tree Festival and Victorian Market and continued in a festive vein with a knitted-from-scraps Christmas tea cosy and a visit to a Christmas market in Leeds. I was lucky to make the Vintage Queens list over at Queens of Vintage and I also shared some fashion inspiration and some fun and cheeky boylesque performances. I sparkled at Christmas and tried a varsity cardigan and a new haircut. Lastly I rounded off the year with a wintry walk by a reservoir with my family. I hope you have all had a good year and I wish you all the best of luck and happiness for 2014. Happy New Year Helen! Gosh, you really had some cute-as-a-button outfits! Really wonderful, and nice photographs too. I am glad you've found blogging so joyous, and hope you continue through 2014 and beyond! What gorgeous dresses! Look forward to seeing what 2014 brings! Oh man, lady, you have some gorgeous dresses in your collection! I have enjoyed reading about your year! Here is to 2014 and many more fabulous blog posts from the both of us! Still loving your blog! Many happy congrats on your first full year of blogging - isn't that such an awesome, accomplished feeling? I adore your blog, dear gal, and can't wait to see what you'll share with us here in 2014. Hello,Ciao Helen...this isnt a Post but a beautiful Gallery of Art as All Outifts of Yours are Works of Art indeed...Cheers!